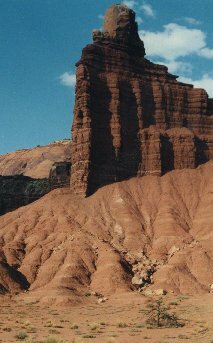 Capitol Reef National Park is also a nice park, although not comparable with Bryce Canyon or Arches National Park. 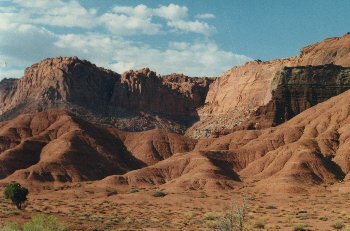 If you have seen those two parks you probably don't need to go to Capitol Reef. It's a rather uncrowded and silent park with all the features which are typical for that area: limbstone, arches, canyons and rare vegetation. 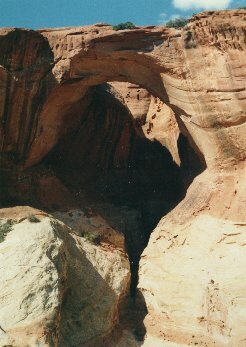 There is not really a spectacular sight in the park, but once you're there, take a hike to Cassidys Arch. There is a saying, that Butch Cassidy, after a bank robbery, hid under that arch and ,by doing so, escaped his pursuers.